Father Paul explains Luke's Gospel and the question...Are you a fisher of people ? Want to become an Extraordinary Minister or reach people who are sick? Thinking of celebrating your day with us like Emma and Matthew? Welcome to our Church website for Sacred Heart Hook, a beautiful Catholic Church located near Basingstoke, Hampshire. We are friendly, relaxed community and welcome people of all faiths, culture and status to join us. There’s always something going on in and outside of the Church so keep an eye on this site. We really are the little Church with a big voice and would love to see you soon. Weekday Mass is celebrated at the Maryfield Convent adjacent to the Sacred Heart – Monday to Friday at 10am, although this time may vary. Take a look at this incredible and innovative joining of Catholicism and technology. Take a look at the top tips from Lent as suggested by Pope Francis. From Pilgrimages to prayer groups. 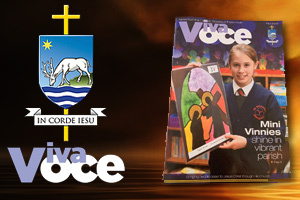 Take a look at all of the things going on in the Church and the wider Parish. Junction 5 Money advice, Hart Foodbank and the Citizen’s Advice Bureau are now operating for free. Do you want to put your faith into action? Do you want to be a parish that looks outwards and helps those in need? 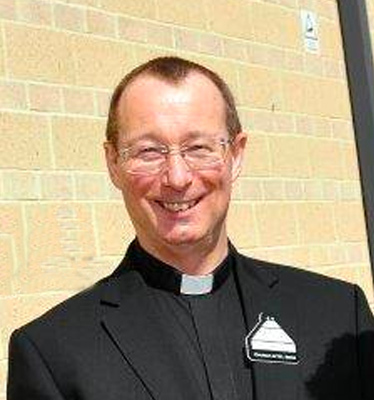 Father Chris Rutledge is our Parish Priest and is also the coordinating Pastor for our Pastoral area. 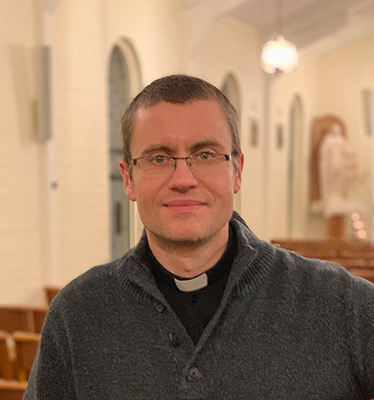 Father Paul Leonard is our Priest in residence who joined us in October 2017 and who celebrates Mass for the Sacred Heart Hook Parish.